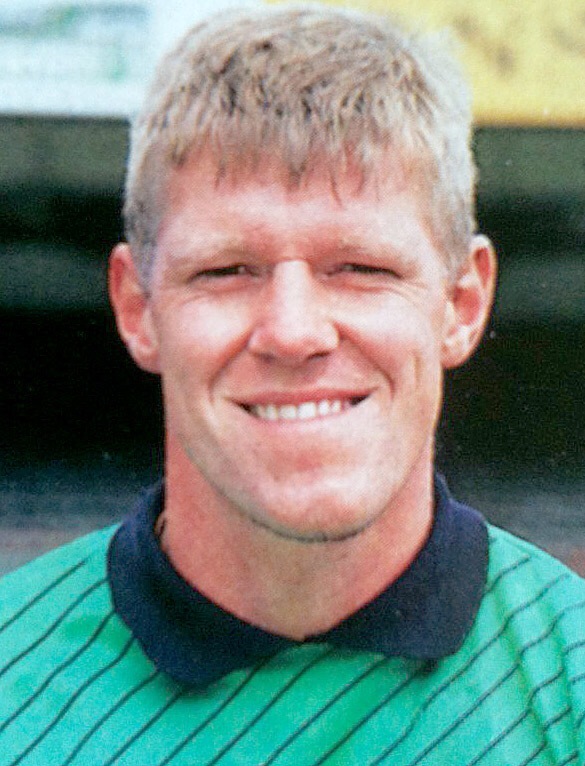 In the first of a new series looking back at players to win just one England cap, we recall the solitary international appearance of goalkeeper Nigel Spink from Aston Villa in 1983. Some players finally get their rewards towards the end of a long career. They may at last pick up a cup winner’s medal, or be recognised as Player of the Year for the first time. And that long-overdue England cap may arrive while the 30th birthday celebrations are being planned (or gone!). And then there are others for whom the process seems to happen in reverse. Spink was a fine servant to Aston Villa though much of the 1980s and 1990s, helping them finish runners-up to the last dominant Liverpool team in 1990 in the First Division. But his true career highlights would come little more than a year apart in the infancy of his long career. Very much the understudy to stalwart Jimmy Rimmer, Spink had just one senior appearance to his name when he came off the bench to replace the injured regular in the 1982 European Cup final against Bayern Munich. The 23-year-old kept a clean sheet as Villa enjoyed their greatest triumph. A year later and by now more established, Spink was to get his big chance when he was selected for the England squad visiting Australia for a three match tour at the end of the 1982-83 season. England were severely under strength, with the likes of Spink, Danny Thomas, Nick Pickering and Mark Barham given the opportunity to join the remnants of the regular squad for the long haul Down Under. First choice goalkeeper Peter Shilton was on the tour and played as England drew their first match and edged their second with the Aussies. who at the time were not regarded as strong opposition. It was in the third match Spink was handed his 45 minutes of international action, coming on for Shilton in a 1-1 draw at the end of a forgettable tour that received minimal TV coverage. Both goals were scored before Spink entered the fray. Spink was never realistically going to oust Shilton as number one but he could consider himself unfortunate not to feature again or at least be in contention to go a major tournament as backup. The international retirement of Shilton and appointment of Spink’s former Villa boss Graham Taylor as England manager at the same time in 1990 did provide a glimmer of hope and Spink made two England B appearances in 1991. But there would be no full recall for Big Nige.